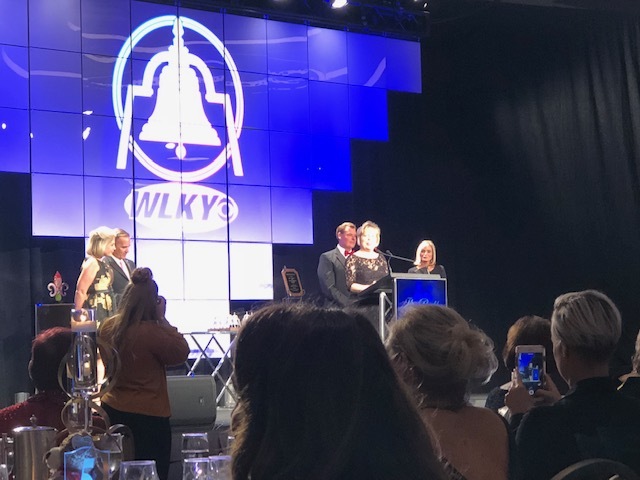 Last night, I had the privilege of attending the WLKY Bell Awards, which recognize individuals who have made a tremendous impact on the community through a spirit of selfless service. Throughout the evening, I heard stories of individuals who profoundly and positively affected the lives of others through their #volunteer service. Learning about these remarkable individuals reminded me that the brilliance of the #nonprofit sector derives in large part from the talent and passion of those who give of themselves to address the most challenging and entrenched issues our communities face. A recent study showed that volunteers contributed over 8 billion hours of service annually, equivalent to over 5 million full-time jobs and $179 billion. We all think of volunteers serving food at our community's soup kitchens, or staffing a booth at a community resource fair. However, it is easy to forget the countless other ways volunteers impact our #nonprofits. Most #Board members are volunteers for example, giving of their time and talent to elevate the #governance and #sustainability of organizations. Likewise, for many smaller nonprofits, their Executive Director or program providers may be volunteers. While #nonprofits benefit greatly from these dedicated individuals, managing volunteers is often the most challenging aspect of nonprofit leadership. Maintaining the passion and engagement of volunteers -- whether Board members or program workers -- is vitally important to the success of nonprofit organizations. As a consultant and trainer, it is so rewarding to help a Board grasp the impact they can make through their service and embrace their pivotal role in the success of an organization. I congratulate those who received Bell Awards last night, along with all those who were nominated. I also extend a heartfelt thanks to the thousands of volunteers across the country who elevate the places we call home.